new, new in Sand in Taufers! 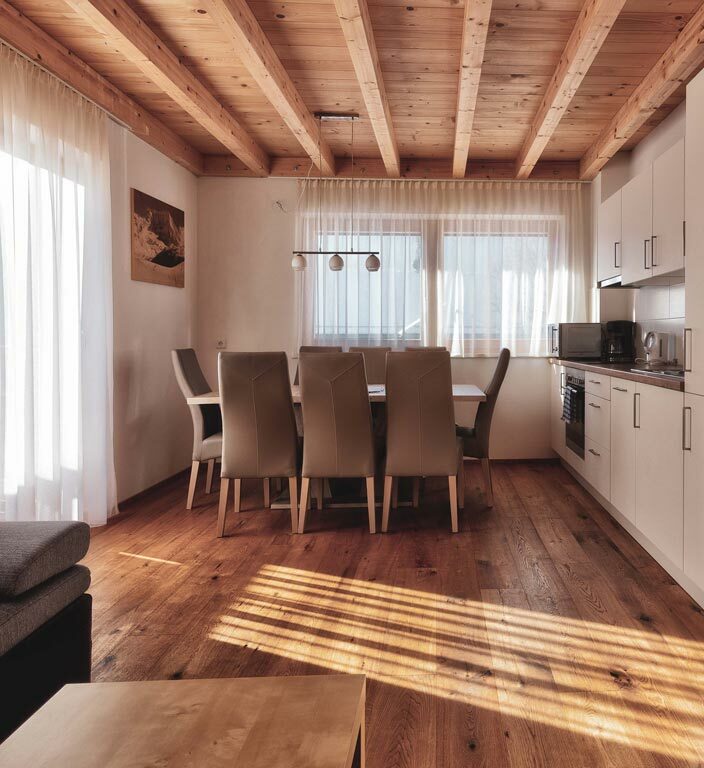 The traditional Inn Pfarrwirt, restructured in 2018 to modern apartment rental, located at the entrance of Sand in Taufers, a market town in South Tyrol and in the 4th generation led by the Hernegger Josef family, welcomes you warmly! 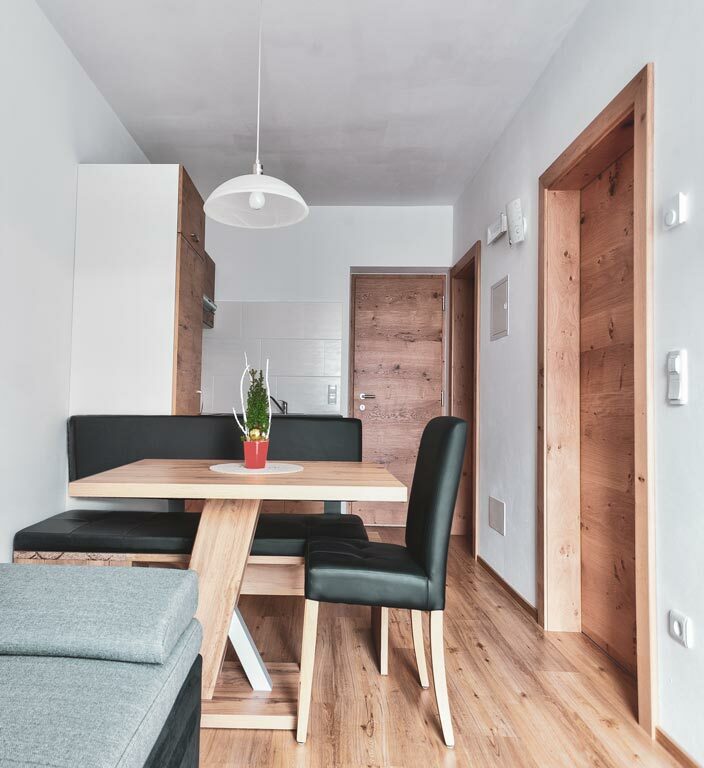 Our apartments, newly built in 2018, are modern, stylish, functional and extremely generously structured. 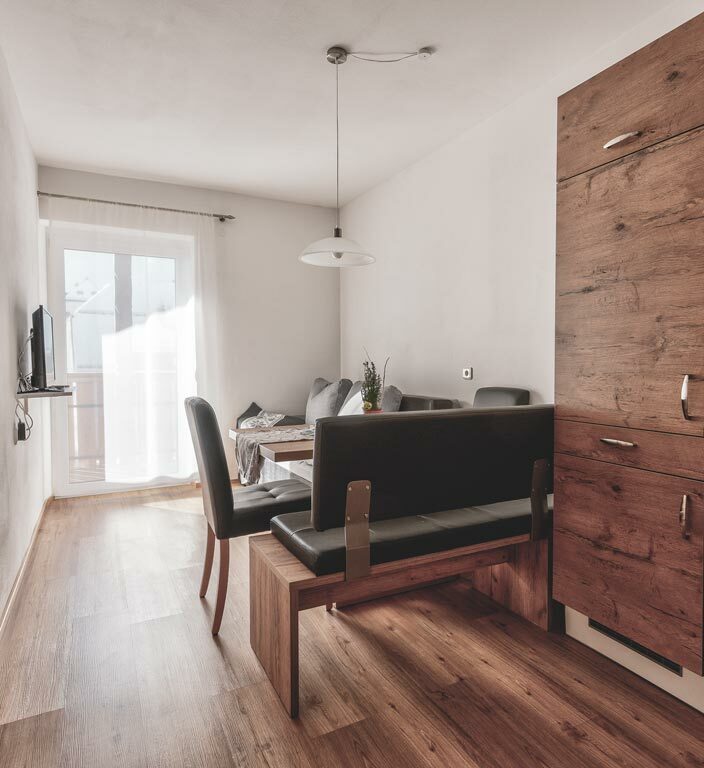 The apartments offer space for 2 to 6 people, are each equipped with a kitchen-living room, bedroom, bathroom and toilet and range in size from 35 to 50m². 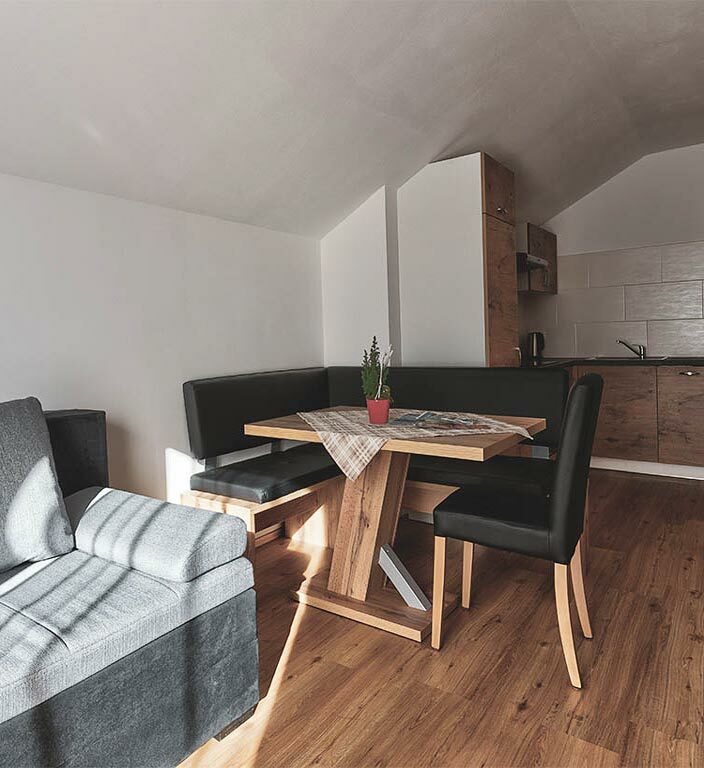 You can book the apartments online directly via our website or you can call us and inform yourself directly about rental, equipment or what you would like to know. All apartments have a unique name with the names of the surrounding villages. Please take a closer look at our website and gain an impression of what you can expect from us. 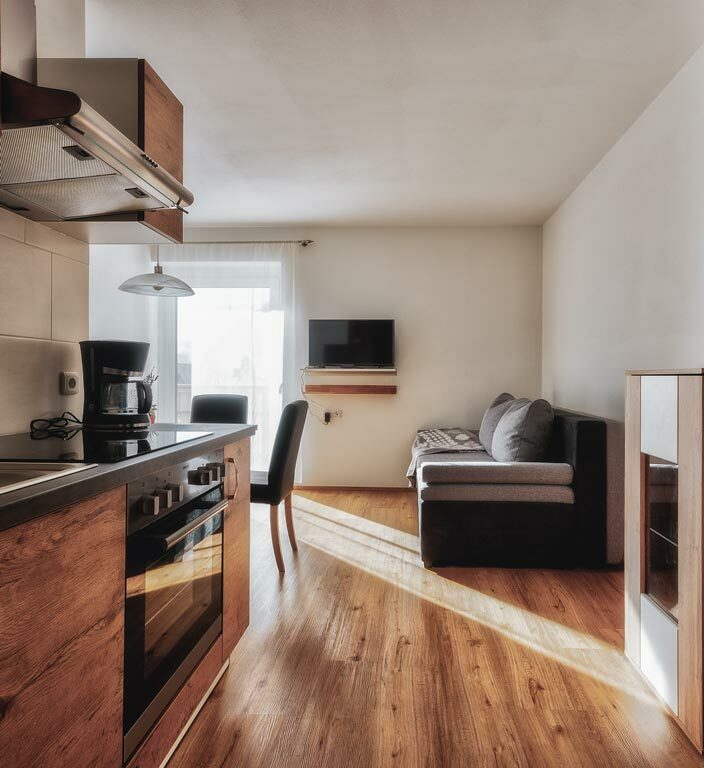 On this page you will find all information about the apartments, such as size, equipment, extras and, of course, pictures for a good overview. We would be very pleased to welcome you as our guest, Fam. Hernegger Josef! Free use of all public transportation within South Tyrol and many other discounts! 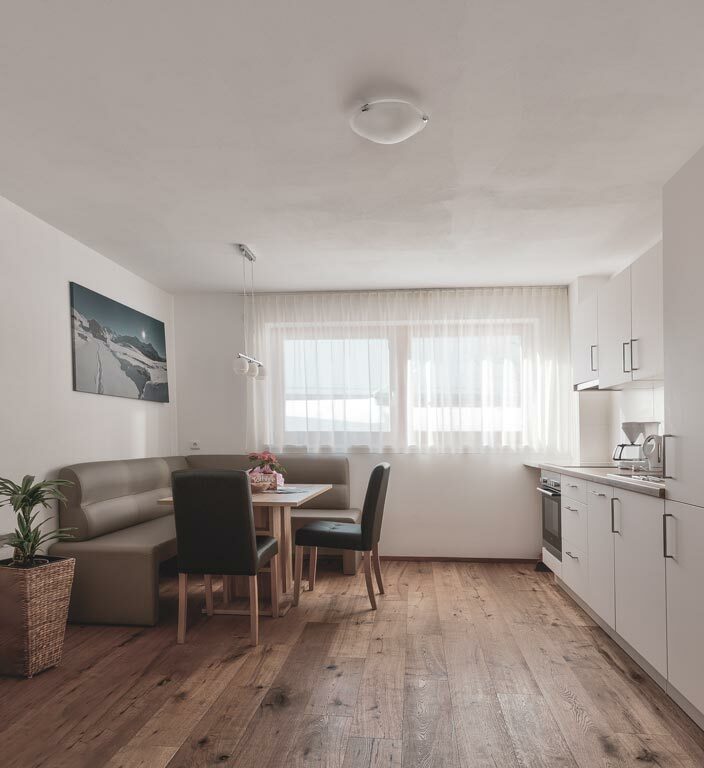 WLAN connection in all apartments! Free entry to the swimming area at Sand in Taufers and reduced access to the entire sauna area! The prices of our apartments vary depending on the season. The prices can be found in the following table! Costs for the final cleaning of the apartments: 35€. The traditional Pfarrwirt inn, which we have owned since 1897, also has a small farm consisting of cows, calves, chickens, quails and cats. On our meadow the children find a small playground with slides, swings, trampoline and sandpit. You can grill and picnic on our property, but you are also welcome to visit the inn of the farm inn for a chat with the innkeepers. 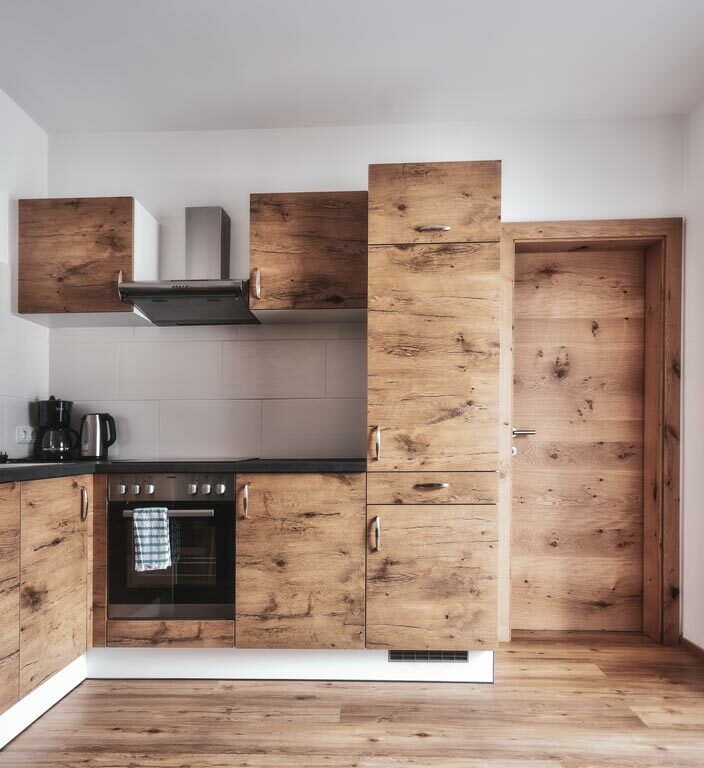 The landlady will be happy to show you how local dishes, such as dumplings and apple strudel or unknown specialties from the Tauferer Ahrntal are made and prepared.